Train staff, install Next Generation security and disable macros as the latest fileless malware exploits a lack of all three to steal data. I’m afraid to say but gone are the days when just having standard security such as Anti-virus software was enough. Cybercriminals are now using complex clandestine techniques to exploit standard system tools and protocols that are not always monitored. 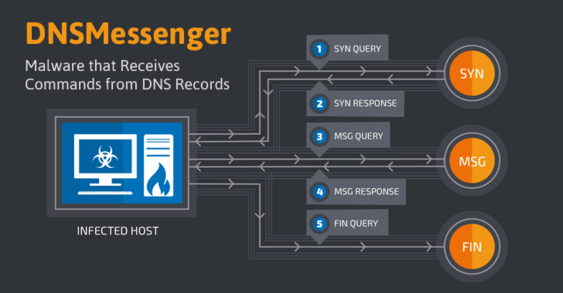 The latest example of such attack is DNSMessenger – a new Remote Access Trojan (RAT) that uses DNS queries to conduct malicious PowerShell commands on compromised computers – a technique that makes the RAT difficult to detect onto targeted systems. Just like their physical counterparts, without a trap in place (i.e a next generation security detection system) they won’t be caught and will end up causing untold damage.